How do I get started as a Publisher? Creating ad channels. Once your website is verified you need to create an Ad Channel by clicking on the “Create zone” button. 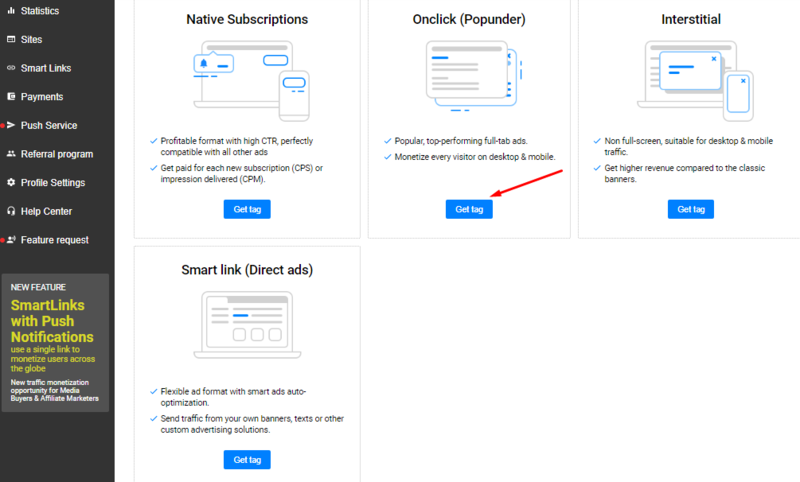 Сhoose the type of Ad Zone you want to create (Onclick (Popunder), Native Subscriptions, Smart link (Direct ads), Interstitial) and click "Get tag". Then you just have to grab the code for your Ad Zone. Next step - Paste the ad channel tag on your website.